A little furry something from the archives. 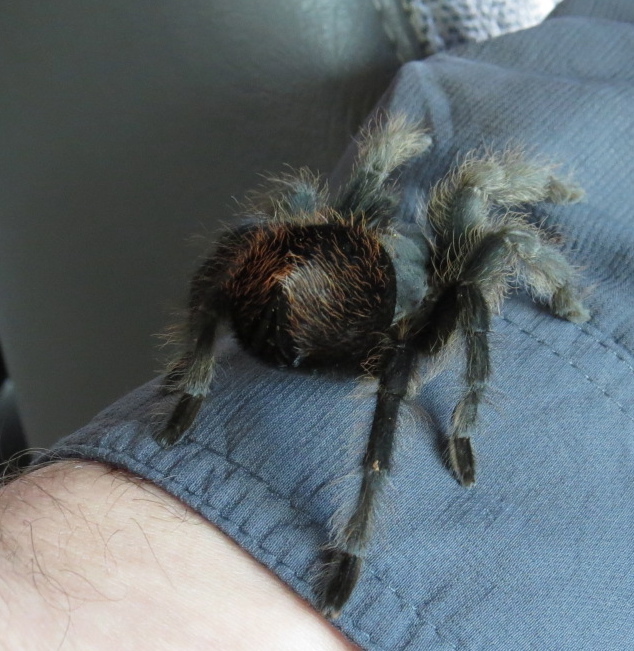 I think this is a male Arizona Desert Tarantula (Aphonopelma chalcodes), also known as Arizona Blond Tarantula because of the female’s coloring. Our intrepid, and hawk-eyed, guide Jake swerved the van out of the way and then backed up to coax this spider onto his hand. And then, up his wrist. The males wander over a wide range searching for females this time of year, usually at night. 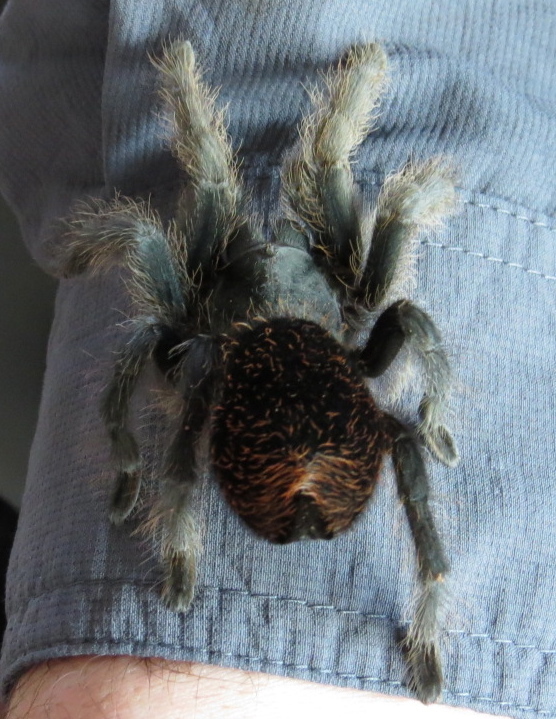 The reddish hairs on the abdomen are urticating, that is stinging, so no petting. The bite is no worse than a bee sting. 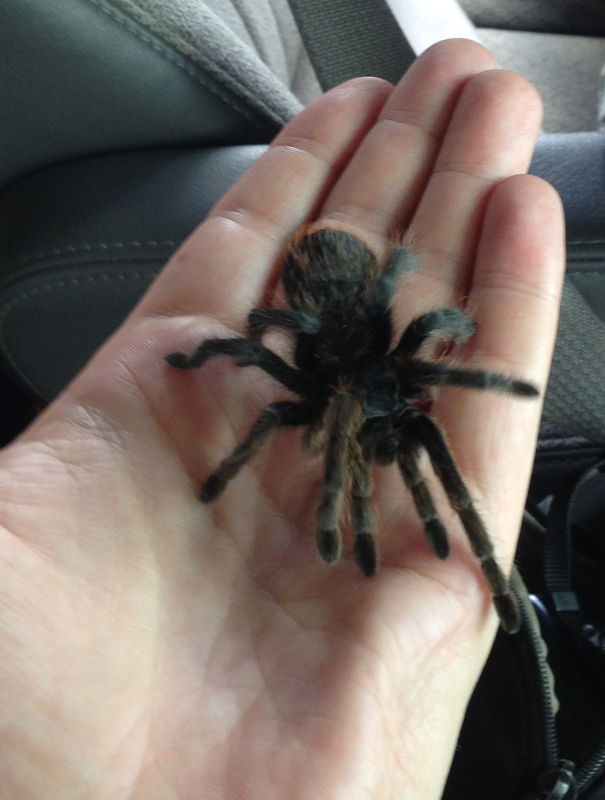 But according to the American Tarantula Society (well, obviously!) the things are harmless. I hadn’t read that when Jake offered up a chance a to hold this guy. There were various “no thank yous,” from my van mates but I proffered my hand… cautiously, but eagerly.